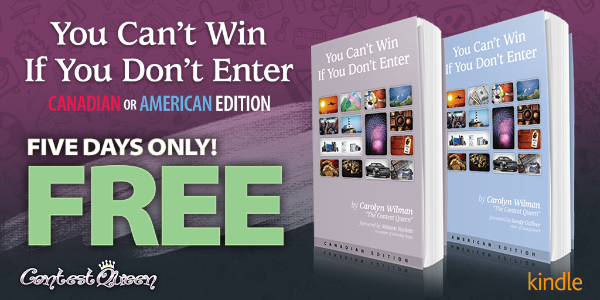 Learn How to Win Sweepstakes for FREE! I wouldn’t be all about saving money and having fun if I didn’t offer all my followers and readers a great deal! Get my books on sale or for FREE! 5 Days only! The second edition combines both the Canadian and American editions into one comprehensive winning guide. New sweeping and contesting tips, tricks, winning stories and adventures. How To Win on Social Media — including Facebook, Twitter, Instagram and Pinterest. Behind the scenes interviews with the aggregates, apps and websites you use everyday to win. 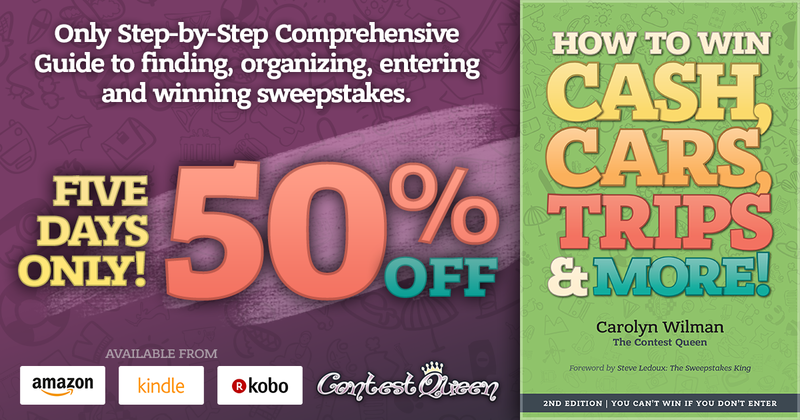 And that’s not all … you can also win a FREE one hour Sweepstakes Masterclass with me! Leave a comment on the original YouTube video to be in to win! Take your hobby to the next level for 2019!